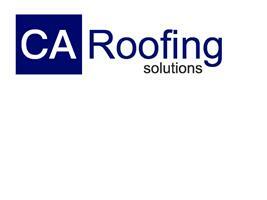 CA Roofing Solutions - Roofer based in Birmingham, West Midlands. CA Roofing Solutions the roofing specialists you can trust – We are pleased to offer FREE estimates to all customers. CA Roofing Solutions is a professional family run business priding ourselves on our vast roofing knowledge and high standard workmanship. Our customer budgets and requirements always come first to ensure 100% customer satisfaction. Since establishing CA Roofing Solutions, our Strong reputation has been built on our quality works and customer approach. We specialise in all Non-Emergency and Emergency residential and commercial roofing, from small maintenance works to whole new roof we can help. Our team work closely with the client to ensure fast and efficient completions. At CA Roofing Solutions our main aim is to make your property watertight and safe, therefore all works are fully guaranteed and full public liability insurance in place for your peace of mind. Our team are reliable, punctual and professional, with knowledge built from over 15 years in the roofing trade. Please review our customer statements which speak for themselves. We are happy to help with any questions any time of the day, please do not hesitate to contact CA Roofing Solutions for a FREE no obligation quotation.